We can all dream of a world filled with peace, love and cupcakes. 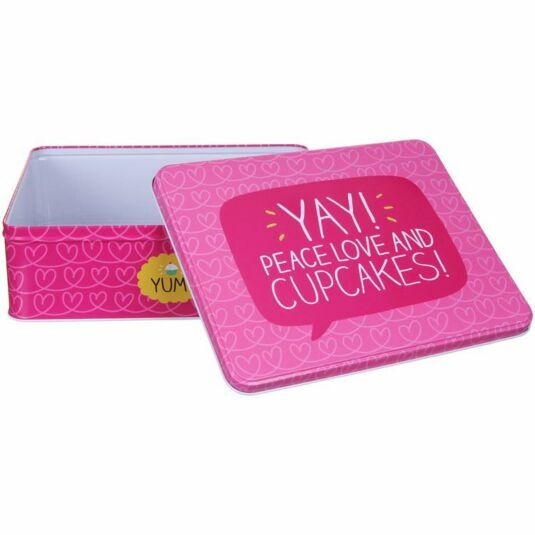 While the first two may be difficult to contain, the third shouldn’t be a problem with this tin from Happy Jackson! This eye-catching tin is as bright and cheerful in colour as the message on the front. 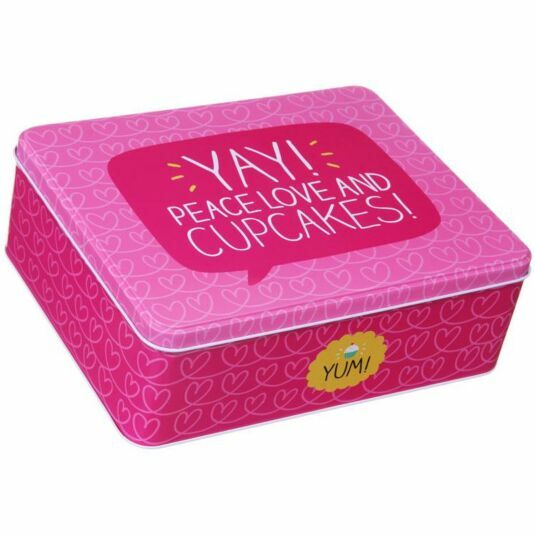 On the removable lid are the words ‘YAY! PEACE LOVE AND CUPCAKES!’. Fill with cupcakes or any other treats of your choice!